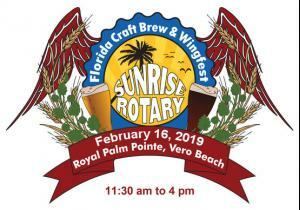 The Florida Craft Brew & Wingfest is the premier fundraiser for the Rotary Club of Vero Beach Sunrise. All profits benefit charitable projects in Indian River County and abroad. Raise money for charity by purchasing a tasting bracelet which allows you to sample from hundreds of delicious craft brews, including rare selections and high quality local home brews. Fill your belly with a variety of chicken wings prepared by local chefs and amateur competitors vying for glory in the wing competition. Bring the family to chill on the lawn and jam to the bands, taking in the sun and fun. If you want a full cup of beer stroll over to one of four beer trucks pouring golden hopped glory all afternoon. 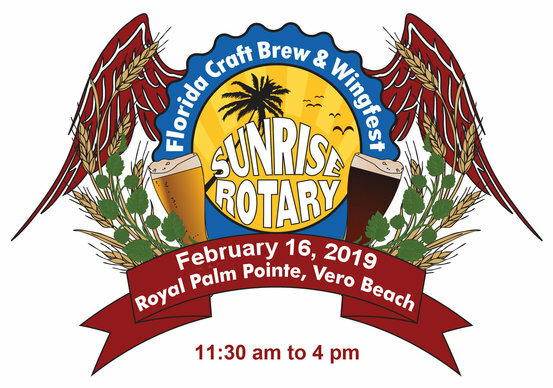 Pairing beer and wings for a good cause is sure to provide a memorable experience that will keep you coming back each February! Until Feb. 15 or until deal runs out, use coupon code “4charity” to save $4.00, up to 2 tickets.